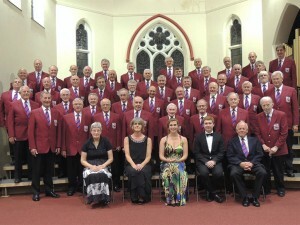 Excellent concert at St Peter’s Church with Barnstaple MVC. Good singing and very good company. Well done to all concerned! 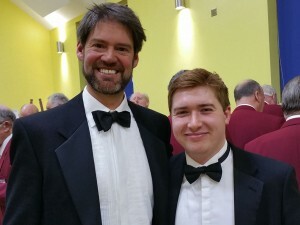 A very Happy Birthday to Michael, our Musical Director, which he celebrated on Saturday by conducting us at the Concert in Sidmouth, which was in aid of Church Development Fund. What a star he is! And what a lovely concert it was! Jim Dowie, a member of the best section of the choir, has just completed a round of golf on 300 different courses worldwide. Well Done to all the ladies in the Support Group who raised a magnificent £273.62 at the Budleigh Gala Day yesterday where they had a stall selling cakes, jewellery, toys, books etc. 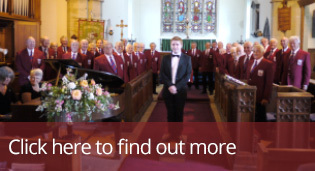 Third place at the Cornwall International Male Voice Choral Festival which took place in The Hall for Cornwall in Truro on Saturday 1 May 2015. Well done to all and many thanks to Michael Graham our Musical Director for all his hard work which resulted in our award. After 15 years together Firefighter Chris Swindle, one of the Baritones, proposed to his partner Janet at 12.30am at the top of the Empire State Building after admiring the fantastic night skyline. Initially she said no as she could not believe that he had popped the question after all this time, but they are both very happy to announce their engagement. 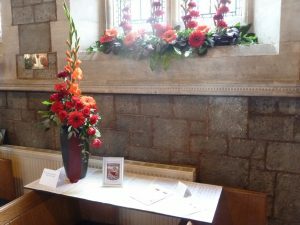 According to Amanda Edwards the Chief Officer of the Ottery Help Scheme the concert on Saturday 4th October provided “a fabulous evening of entertainment for a full house". 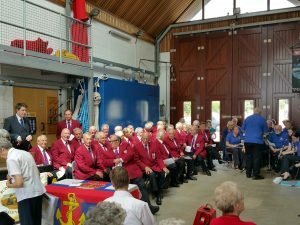 Budleigh Salterton Male Voice Choir and the River City Chorus from Exeter sang their hearts out in aid of funds for Ottery Help Scheme. During the weekend of 12th to 15th September, 40 members of the choir with their wives and partners enjoyed a wonderful tour to Derbyshire and Yorkshire. Most members travelled by coach, arriving at Ticknall in Derbyshire for a concert, organised by Baritone Dave Samuel who lived and worked there for many years.